UPDATED: Wed., Feb. 13, 2019, 5:58 p.m. 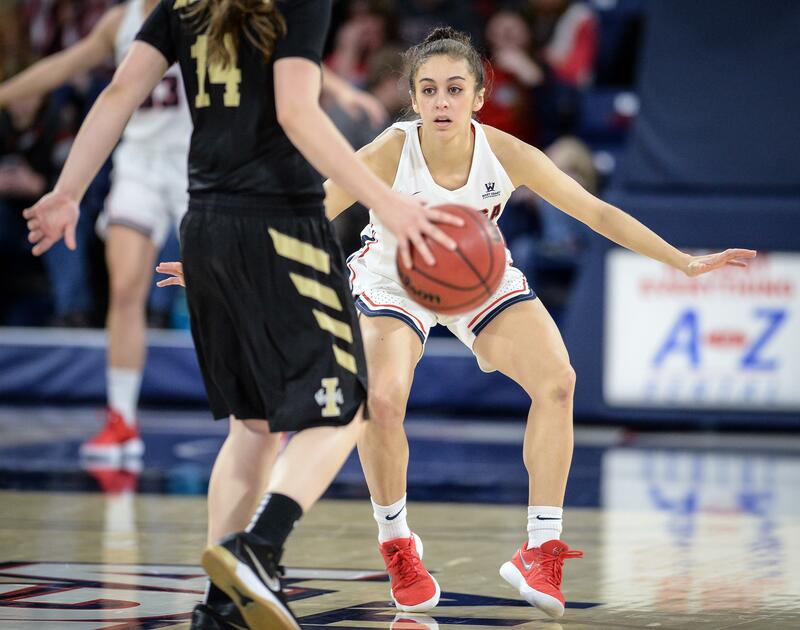 It sounds clichéd, but the Gonzaga women are defending their West Coast Conference title with defense. The Zags’ 11-1 conference record has been built with strength down low and quick hands on the perimeter. It happened again on Saturday at Portland, as GU improved to 22-2 overall with a dominating performance to win 92-63. The Zags were doing that again during practice Tuesday at the Volkar Center. “Some of our defensive tendencies haven’t been stellar,” Fortier said. Despite that, GU is a plus-five in turnovers in WCC play. Along with a plus-7.7 on the boards, that spells dominance: In its past six games, GU is outscoring opponents by an average of 21 points. Dominance also is reflected in the standings. With six conference games left, the Zags have a two-game lead in the loss column over BYU, which visits the Kennel on Saturday. First up, though, is tonight against last-place San Diego (8-16, 1-12), which has dropped 11 straight games and has lost several key players to injury. “San Diego has given us some trouble this year,” said Fortier, whose team trounced the Toreros 86-61 last month in San Diego. The only trouble seemed to be a lackluster second quarter, although GU still led by 12 at halftime. Gonzaga has won the past six meetings and 33 of the past 37. There are other distractions these days, all positive ones. The biggest came on Monday, when the NCAA anointed GU with a No. 4 seed in its initial bracket reveal. Fortier was gratified but not surprised. “We know where our RPI is (13th as of Wednesday),” Fortier said. “But it’s not something that people have just now recognized. Published: Feb. 13, 2019, 3:07 p.m. Updated: Feb. 13, 2019, 5:58 p.m.